Romance..Music..Mountain Colors of Green and Blue at The GrandView!! April 16, 2015 April 16, 2015 ~ Trevis Dampier Sr.
Prime rib is a classic roast beef preparation made from the beef rib primal cut, usually roasted with the bone in and served with its natural juices (au jus). Appetizers around $13, Dinner plates around $45. Happy Hour Menu about half price for all of this!! So it’s my 1 year engagement anniversary and I was looking for a nice romantic place to take my fiance for a fabulous evening. My usual source for finding great restaurants in my area is OpenTable.Com so I decided to take a look for some exotic ideas. You can set reservations from their website and also see a wide variety of elegant restaurants based on your price range which makes this a great place for research and making a decision. 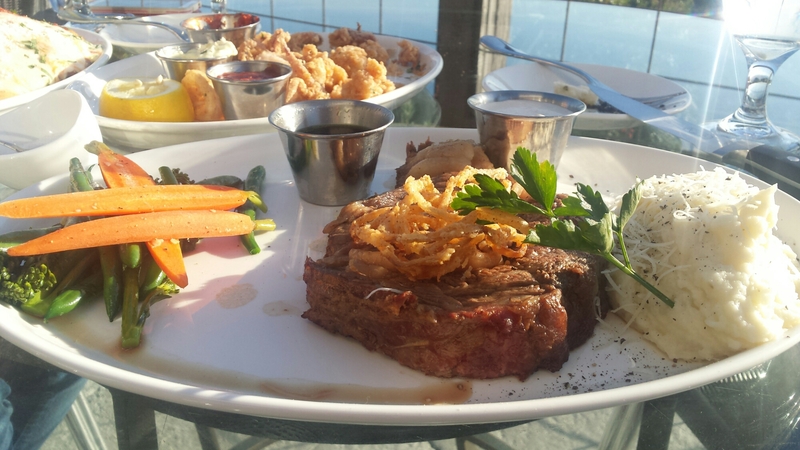 I found a restaurant that I have not yet experienced with a view over the entire South Bay with awesome reviews for the food and the atmosphere. Sounds like the place for me! Since it is a restaurant of elegance we made sure to dress slightly upscale, but keep in mind I did see some people dressed down in casual clothing but most were not. 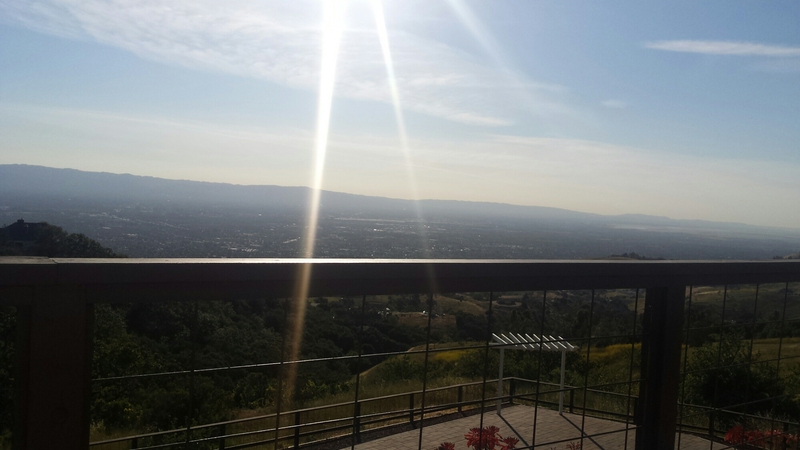 We immediately sat outside after grabbing a drink from the bar (Margarita and GrandHattan) to come to a gorgeous mountain and city view of the South Bay! We did see that a band was setting up inside to play some soothing Jazz but we were definitely not going to pass up this view so we sat outside. Let me just say that each of these items were not mediocre and each dish could stand like a Champion against any competitor! 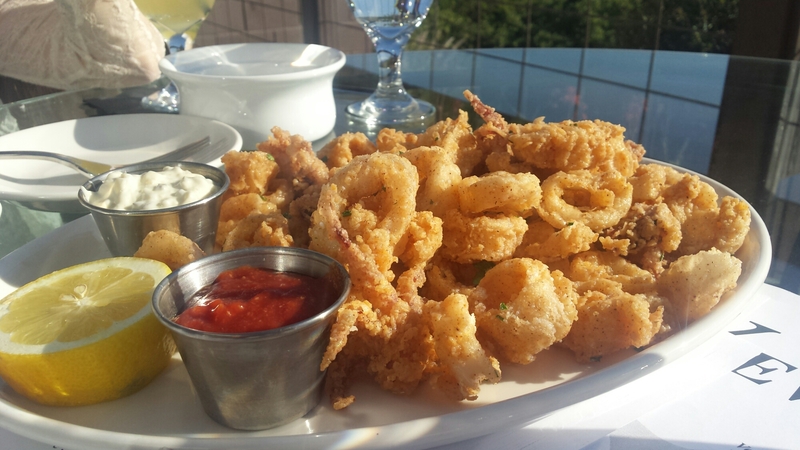 The Calamari was well seasoned, crispy but tender and so flavorful that you don’t even need sauce for it. Or grab some of their hypnotizing Marinara sauces to dip those in and it will light up your world! The Prime Rib was outstanding! Really tender and juicy and dipping that into the Au Jus (its own juices it was cooked in) and Horse Radish and it is a Masterpiece of artistic nature and fantasy desire! 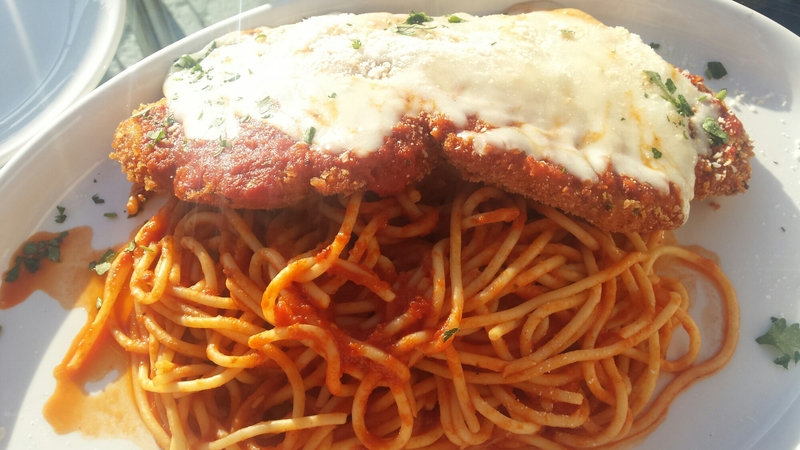 The Pollo Parmigiana was a large portion and the chicken was succulent and juicy with a flavor burst that could launch a missile. 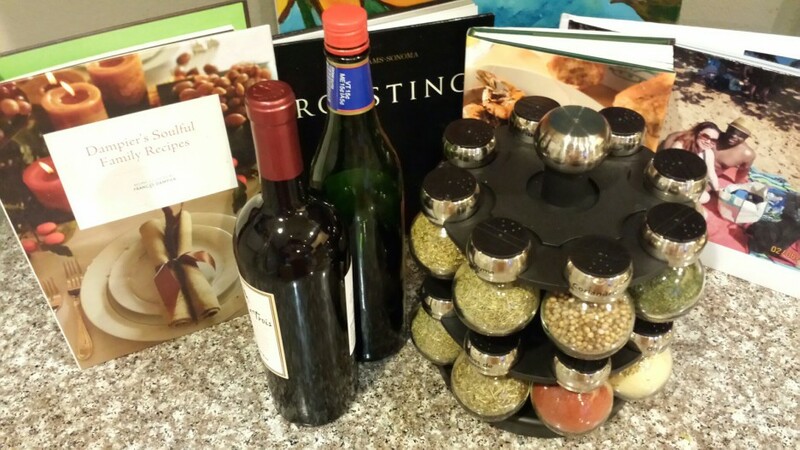 Combine that with the tantalizing spaghetti and you are officially living the dream! I have to say that this is one of the best restaurants that I have been to where the view, the food portion and the flavor of the food were all at high rating and extremely competitive. Good job GrandView!! If you live in or are visiting the Bay Area then I strongly recommend you take a visit to this place. I promise you that you won’t be disappointed! < Previous I’ll swim through a Tsunami for my #9 Hot Pastrami!!! Next > I’m not too proud to beg for Pork Chops and eggs!